Russia’s atomic energy agency Rosatom has admitted that Russia’s nuclear power plants are seriously underprepared to deal with a natural disaster on the scale of the recent earthquake in Japan – confirming Norwegian fears over northern Russian power stations considered a threat to Norway. Newspaper Aftenposten reported over the weekend that a report authored by Rosatom was commissioned in the aftermath of the crisis at Japan’s Fukushima nuclear facility, and has been delivered to President Dmitry Medvedev in recent weeks. It lists 31 serious security flaws that make Russia’s atomic energy plants ill-prepared for a range of potential natural catastrophes and accidents, from tornados to flooding caused by accidents at nearby hydroelectric operations. 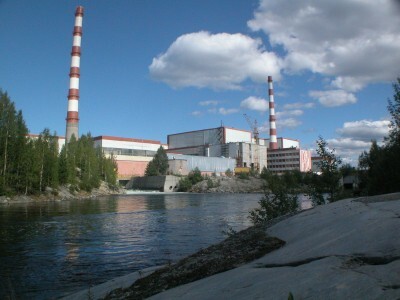 The two nuclear power plants closest to Norway – Kola and Leningrad – were singled out as particularly vulnerable. Among the security failings, Rosatom found that most plants do not have plans in place to deal with large-scale natural disasters, or for what resources are needed to meet security concerns. The industry watchdog lacks safety inspectors, and there is a shortage of qualified repairers. The risk of earthquakes has not been factored into the placement of nuclear facilities, especially those in particularly vulnerable zones near the Urals, and that the recording of seismic data was generally very poor. The majority of reactors do not have automatic shutdown mechanisms like the Fukushima plant, and the storage of nuclear fuel is undertaken without clear guidelines, leading to fears that the fuel could easily leak during a disaster. Reserves for cooling of the reactors are also in poor condition, while key equipment involved in the cooling down process has weaknesses in its welded joints. Speaking generally about the report, Nils Bøhmer, another nuclear physicist at Bellona who has long campaigned over threats caused by nuclear power stations in Russia and at Sellafield in the UK, told Aftenposten that he was “shocked” by the findings. “It makes for dramatic reading with a view to the fact that the report comes from the owner of the nuclear plants,” he continued, describing it as “the most serious description of the status of Russian nuclear plants I have ever seen from Rosatom.” Another scientist and expert in the Russian atomic industry, Erlend Larsen, described the report as “a thorough evaluation of the shortcomings of the security at nuclear facilities in Russia” that revealed “considerable challenges” for the country. Bellona believes that the Norwegian authorities must once again take up the issue with their Russian counterparts and is calling for the closing of the oldest reactors at Kola and Leningrad. The Norwegian government has already reacted to the findings. Speaking to newspaper Aftenbladet, State Secretary Erik Lahnstein of the Foreign Ministry confirmed that he had received an overview of the report by email, but would like the full report to be delivered to the International Atomic Energy Agency (IAEA) as soon as possible. He stressed that the report “confirms what Norwegian authorities have claimed for a long time,” adding that Norway has long made it clear that the Russians should shut down their oldest reactors as soon as possible. He nonetheless noted that the fact that the report had been commissioned might be “a reason to give praise to the Russian authorities” and suggests a more optimistic future. “We now hope that the process the Russians themselves have started will renew debate on the oldest and most dangerous nuclear power plants,” he told Aftenposten. Ole Harbitz, who leads the crisis commission for the Norwegian Radiation Protection Authority (Statens Strålevern), also told Aftenposten that he thinks the Russians “right up to the President” have changed their position on atomic energy after seeing the consequences of the Fukushima crisis in Japan, and are viewing the danger of natural catastrophes and other accidents more seriously. He notes that the Kola plant in particular has already shown its vulnerability to natural phenomena – a severe storm in the 1990s brought down power lines at Kola and deprived it of emergency power, at which time Norway had to deliver a large emergency power generator to Russia. Norway has long invested money in improving security at Kola, but Lahnstein denies that this has only lengthened the plant’s lifetime. He promised in Aftenposten that Norway would continue to support better security and “be a constructive partner” for Russia.